Gather ’round the table for a good cause! Mescalero Apache Boys & Girls Club at it again! 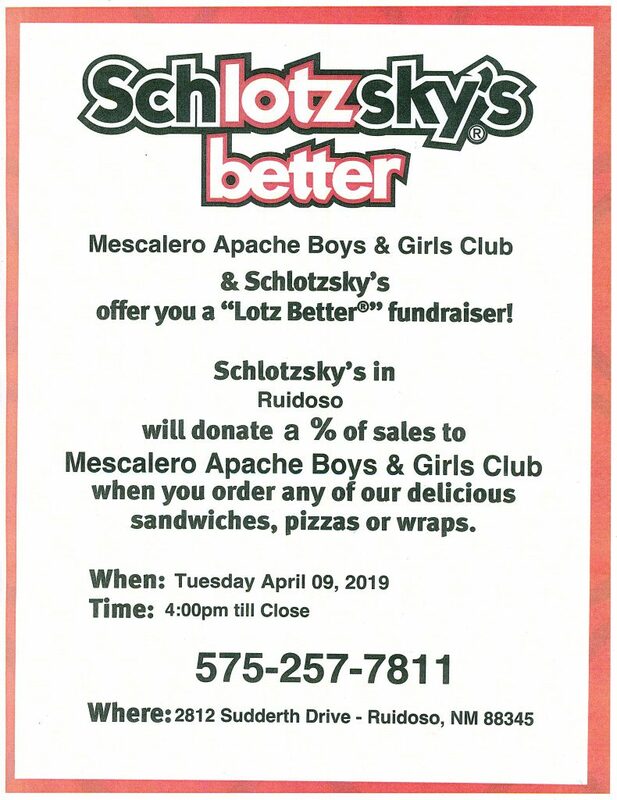 Grab a bit to eat at Ruidoso Schlotzsky’s TOMORROW from 4 PM – closing, all for the kids at our local Boys & Girls Club! What’s for dinner tomorrow?